Who says bird houses should all look the same? 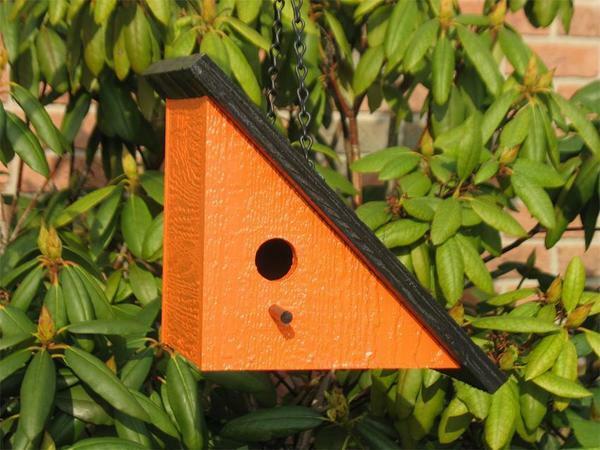 Our range of bird houses are all about adding modern, vibrant edges to your garden at the same time as attracting nesting songbirds to make their home in your space. This right-angle bird house combines the best elements of this design with handcrafted Amish workmanship to bring you a bird house that promises season upon season of enjoyment both for you and for your new feathered neighbors. Choose your perfect color from the menu above. If you've any questions at all, please don't hesitate to get in touch - we would love to hear from you.